When you have a toddler... you count every moment they are sleeping as sacred. When you have a toddler... you anticipate spills so often that you keep a towel in the kitchen just for sopping up the latest mess. When you have a toddler...you become a human pacifier and punching bag. When you have a toddler...your attire is accessorized with smears of boogers, pieces of food and possibly the residue of vomit. When you have a toddler...you savor every sweet snuggle because it will only be about 10 seconds before they are up and running. When you have a toddler...you find yourself swaying even when no one is attached to your hip. When you have a toddler... peek a boo is the most entertaining game in the world. When you have a toddler... you cherish every minute that you get to eat a meal in peace. When you have a toddler... you don't even flinch when you hear something crashing in the other room. When you have a toddler... you laugh when people say they don't know how you do it, because you don't either. When you have a toddler...you learn how to make dinner with a little person wrapped around your legs. When you have a toddler...you learn sign language, because that is the only way you can communicate with them. When you have a toddler..mama is the sweetest word in the world; next to dada of course. When you have a toddler... you develop lightning fast reflexes to minimize some of the falls of your fearless babe. 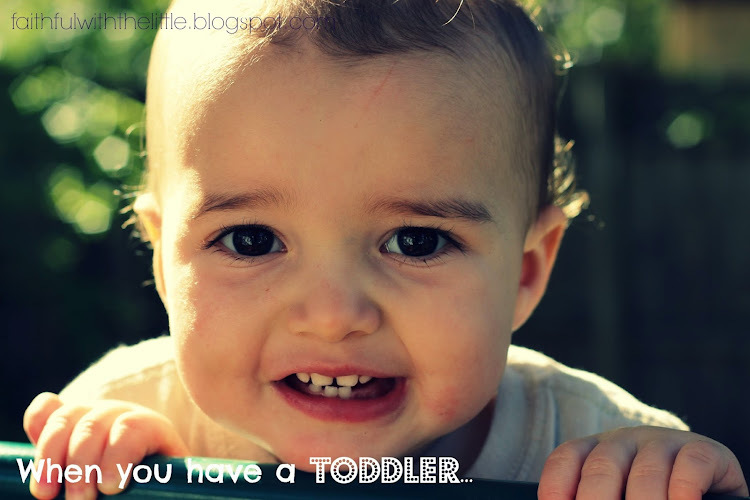 When you have a toddler...you sound like a record because you repeat every phrase of gibberish they speak. When you have a toddler...you bring out every toy in the house to occupy them for a few minutes but they only want you. When you have a toddler...you heave a sigh of relief when you open up their diaper and find it's not a poop. When you have a toddler... you want to jump up and down for joy when they actually eat their food instead of flinging it. When you have a toddler...one minute you are crying and the next you are laughing because even though they drive you crazy; their smile melts your heart. When you have a toddler...you wish time would slow down because you love every minute with them. Oh My Oh My Oh My. I relate to this so so much. I often wonder if I'm actually going a little crazy because I love the mess out of Baby Boy, yet he drives me absolutely batty, all in the span of 1 minute. But, truky, I wouldn't give it over for anything in the world. I wouldn't change a thing, even my struggles for those first minths, even my doubt, and my lack of mom confidence, and learning as I go...lliterally. This is truly the best job I've ever had and I Honestly know there's nothing that compares! Yes, We really have to keep reminding ourselves it only for a short time! Even though its so hard at times I totally agree, its the best job ever because God has given it to us:) And you are the only one for the job! So glad you can relate! lol! This is so precious! I do wish the moments would slow down! I love that about not flinching when something crashes in the other room! Haha! Hi! I am Rebekah. I am living out my dreams as wife to the love of my life and mother to 6 beautiful, but messy little ones. First and foremost I am a passionate follower of Christ. Join me as I seek to be faithful with all that God has given me. Read more about me here. Sign up here to receive updates and free printables! Sign up to recieve updates and free printables!! 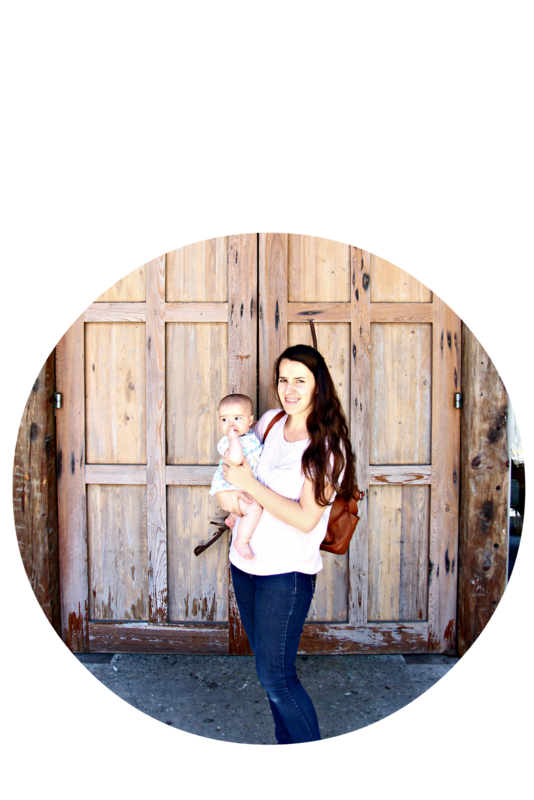 Seeing homemaking as a labor of love instead of drudgery- With FREE PRINTABLE! Links on this site may contain affiliates which help support this little blog. All pictures and content belong to the faithful with the little domain. Please do not use as your own! Please stop by and share your thoughts, I would LOVE to hear from you! !